Here are the old Hollywood films released on DVD and Blu-ray on Jan. 13. Our top pick is The Razor's Edge (1946) starring Gene Tierney and Tyrone Power. The Razor's Edge (1946): The definitive version of W. Somerset Maugham's philosophical novel is being released on blu-ray. The film follows traumatized World War I veteran Larry Darrell (Tyrone Power) as he searches for the meaning of life. The film was groundbreaking at the time for its use of Eastern philosophy. In fact, the term "finding yourself" was popularized by Darrell's quest for his true self. The Razor's Edge features an all-star cast with Gene Tierney as Darrell's frustrated fiancee and Clifton Webb as Darrell's snobbish uncle, who mocks his philosophical meanderings. The standout performance is from Anne Baxter who received a best supporting actress Oscar for her role as a desperate alcoholic. Special features include audio commentary and newsreel footage. 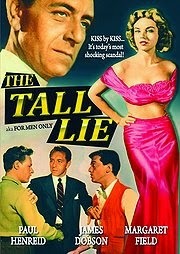 This film, which is being released on DVD, is better known by its alternate title, For Men Only. Paul Henreid both directs and stars in this B-movie about a hazing incident at a college fraternity. The film features a stand-out cast, including Vera Miles and Sally Field's mother Margaret as Henreid's wife. 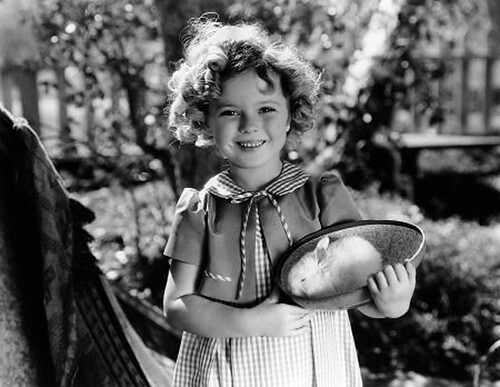 Some of legendary child star Shirley Temple's best films are coming to DVD (there's more about Temple's life and career here). The Shirley Temple Collection, Volume 1 features six films. My personal favorite is Heidi (1937) which features Temple as the adorable Swiss Miss from Johanna Spyri's classic children's novel. The other films are Curly Top (1935); Little Miss Broadway (1938); Captain January (1936); Just Around the Corner (1938) and Susannah of the Mounties (1939).